Telehandler Ticket Vancouver - The telescopic handler or telehandler is a frequently used equipment in agricultural and industrial applications. This equipment is similar in appearance to a forklift and also functions in a similar way, even if telehandlers are much more like a crane than forklift. It has a telescopic boom which can extend upward and forwards from the motor vehicle. The boom has the capability to fit one of various attachments including a bucket, a lift table, muck grab or pallet forks. The most popular telehandler attachments are pallet forks. The telehandler is used in order to transfer products in areas where the loads cannot be transported by a conventional lift truck. Telehandlers are specially helpful for placing loads on rooftops for instance, or for removing palletized cargo from with a trailer. Many of the jobs which a telehandler can carry out will otherwise require a crane and this machine can be pricey, not practical and not always time efficient. As the boom extends or raises while bearing a load, it also acts as a lever. Despite the counterweights in the back, this causes the machine to become more and more unbalanced; thus, the advantage of the telehandler is actually its greatest limitation. As the working radius increases, the lifting capacity decreases. The working radius is defined as the distance between the center of the load and the front of the wheels. The telehandler with a 5000 lb capacity for instance, with a retractable boom can safely lift as little as 400 lb at a fully extended boom at a low boom angle. Equivalent machinery with a lift capacity of 5000 lbs and a retractable boom which could support as much as 10,000 lb with the boom raises to around 70 degrees. 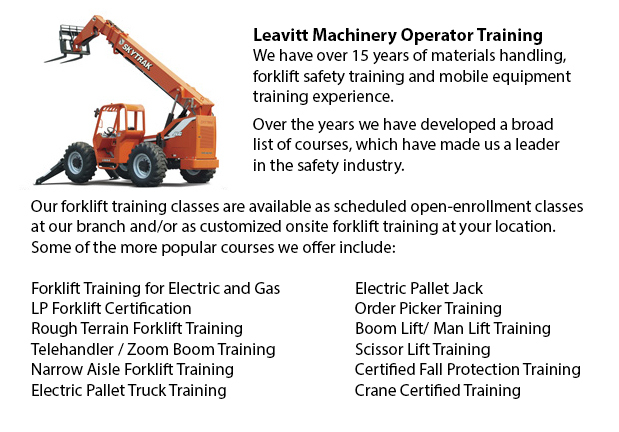 The operator has a load chart to help determine whether a specific lifting job could be completed in a safe and efficient way. This chart considers the height, the boom angle and the weight.